It’s that time of the year when you must bring those annual festive outfits to the front of your wardrobe. Often, the result isn’t too rewarding. You realize what you have won’t suffice for the entire festive season or you already have enough family pictures featuring these outfits. Here are some quick ways you can use your Western wear accessories to transform such situations. It’s time to put all those colourful stoles you have collected over the years to good use. Throw them stylishly over a kurta to create a bohemian look. The trick is here to balance plains with prints. For those who like to make a bold statement, solid on solid works best; think a black silk stole paired with a deep purple kurta. Invest in a pair of jhumkis and mojris and you are all festival-ready. If you are in the mood for something more contemporary, match your cape with a kurta and dhoti pants. It’s the perfect DIY alternative to high-street ensembles. In fact, a pastel-shaded cape can serve as the perfect canvas for metallic neck pieces. Let’s admit it. You got to have at least one classic Nehru jacket in your wardrobe in your Indian wardrobe. A great way to add a fresh festive charm to your jacket is to pin it up with a brooch. 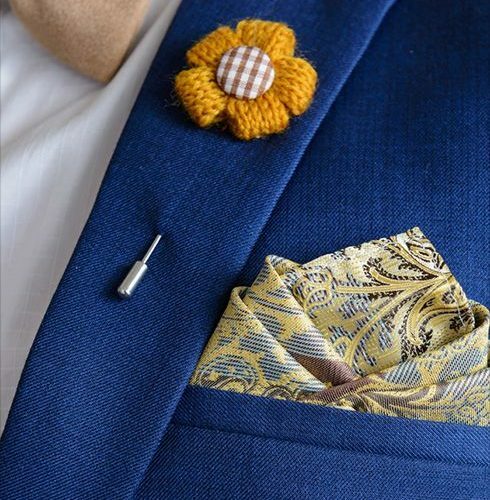 From floral motifs to dragons, men brooches come in a host of shapes and styles ever since Pharel Williams made it a fashion trend. Another celebrity-sparked trend to include in your style is pairing a crisp kurta with cigarette pants and tan leather shoes. Skip the standard pyjamas and sandals look for one that’s more suave. The trick here is to opt for a kurta that comes in neutral or pastel shades over traditional Indian colours.